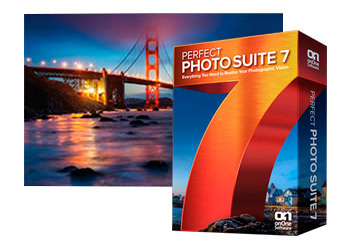 Perfect Photo Suite 7 from onOne Software is here (nearly)! Most of you will be familiar with Perfect Photo Suite 6 – their next generation plug-in suite – and how easy it was to use. Well, now there’s a new version. Perfect Photo Suite 7 gives you everything you need to realise your photographic visions in one package. Create images that are even more extraordinary with powerful new tools, new intuitive interface, improved performance, and direct integration with your workflow in Adobe Photoshop, Lightroom and Apple Aperture. It will also work as a standalone application in its own right, allowing you to edit images in whichever way suits you best. Stock is expected at the end of October – you can pre-order your copy here. The Booq Mamba collection now boasts four new bag and case styles; providing elegant design with efficient practicality for transporting your laptop or MacBook in safety. 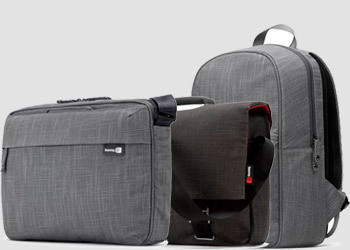 You can view these, and the other stylish Booq bags here. If you’re in the graphics industry and need to reproduce accurate skintone colours – take a look at the Pantone Plus SkinTone Guide, designed to give an accurate skin colour reference. There’s also a new Rain Design laptop stand available – the iLevel – which gives dynamic and height adjustable features for your laptop. This entry was posted in Color Confidence, General News and tagged Booq, Booq bags, Booq Mamba, Color Confidence, eBay, NEC, NEC monitors, NEC SpectraView 232W, NEC SpectraView 271, NEC SpectraView 552, onOne Software, Pantone, Pantone SkinTone, Perfect Photo Suite, Perfect Photo Suite 7, Rain Design, Rain Design iLevel on October 19, 2012 by colorconfidence. Welcome to the third and final part of our Autumn review, looking at key events and news over the last year. The past few years have seen a number of key enhancements and innovations from Pantone, the most recent of which being the introduction of 336 new solid colour choices. This means you can now take advantage of 1,677 solid colour choices to let your creativity truly soar. To view where this update sits within the last few years of Pantone updates, read our full article here. 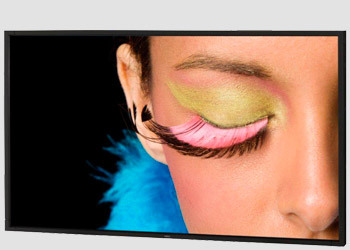 Reliance on soft-proofing and digital image manipulation has influenced display technology developments with the introduction of new features and terminology. Understanding the terminology helps appreciate the advantages of a professional monitor – in this article, we review what the terminology surrounding monitors mean, and what basic steps can be taken to identify the most suitable monitor for you. Read the full article here. In this article, we review the importance and significance of viewing booths when assessing print or product colour.From photo editing for home use through to commercial colour assessment for print and similarly for product manufacture, controlled lighting is essential. Demand for tighter quality control, accountability and appreciation of the importance of illumination brings viewing booths to the forefront of essential equipment at all stages of production and presentation for print and product manufacture. Read the full article here. This entry was posted in Color Confidence, General News, Industry News and tagged Autumn, Color Confidence, Eizo, Monitor, NEC, Pantone, Viewing Lights on October 12, 2012 by colorconfidence. Welcome to the second part of our 2012 Autumn review, which this week looks at our range of colour management services and solutions. The below extracts are taken from our autumn review mailing and dedicated webpages, a full ink can be found at the bottom of this post. Developments in colour management solutions for home and business use have introduced higher standards and ease of use, whilst addressing the challenges of new monitor technology and quality of print. Instruments, software and workflow settings all contribute to a correctly colour-managed environment. Our technical support team provides a range of services and training to suit your requirements – for further reading on matching your screen to print, see our “Light and Shade” document. We examine the solutions available for the discerning photo and imaging pros requiring more detailed colour accuracy with the X-Rite i1 Display Pro and i1 Pro 2 solutions. We take a closer look at the high-end colour management solutions suited to the demands of the pressroom environment, with X-Rite 500 series Spectro/Densitometers. These devices aren’t for the faint-hearted though, so please contact us to discuss any specific requirements further! You can read the article in full on a special webpage here – tune in next week for part 3! This entry was posted in Color Confidence Range, Colour Management, General News, Monitor Calibration, The technical stuff, X-Rite and tagged Autumn, Calibration, Color Confidence, colormunki design, ColorMunki Display, ColorMunki Photo, ColorMunki Smile, Colour Management, Densitomoters, i1 Pro, i1 Pro 2, i1Display Pro, Photography, photography studio, Pressroom, X-Rite, X-Rite colormunki smile on October 5, 2012 by colorconfidence.